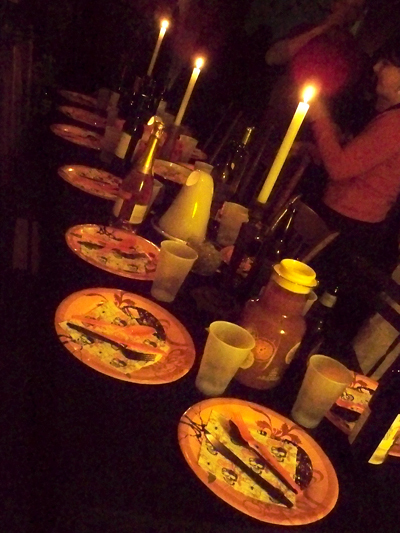 Last night was my Halloween sit down dinner party. 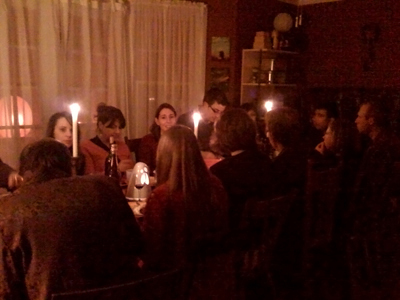 It took everyone awhile to actually sit down. 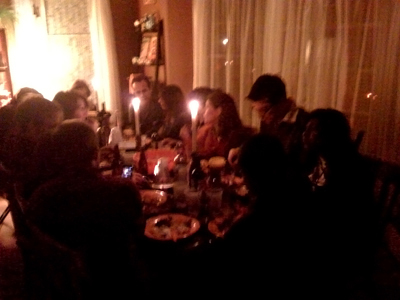 It was so good to enjoy a meal with everyone. 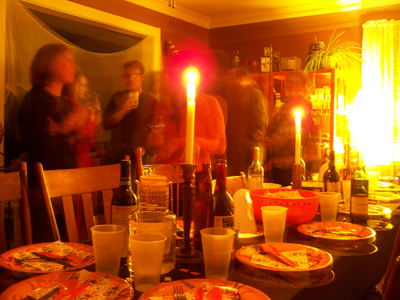 I was gone so much this summer, fall has been a season for spending time with friends. I was feeling brave and tried a new recipe for green chile enchiladas. 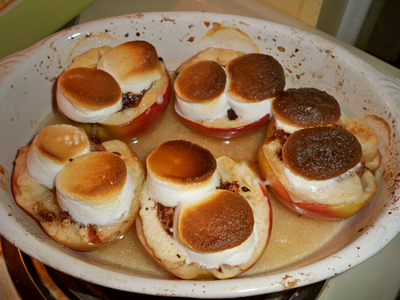 I also tried a recipe for mexican chocolate baked apples. With the toasted marshmallows on top, Shruti said they looked more like baby bottoms. Maybe that is what they should be called. Yes the apples came out really tasty. I might add some brown sugar too next time. I like sweet. 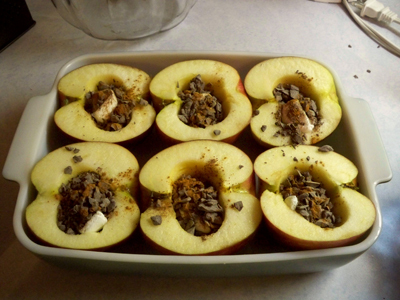 How exactly did you make these delicious looking apples? What form of chocolate was under the marshmallows?